Chick-fil-A is known for its Christian values, which is why the chain restaurant never opens on a Sunday. Back in 1946, Chick-fil-A’s founder, Truett Cathy, established the rule of closing on Sundays so that employees could have a day of rest and worship. 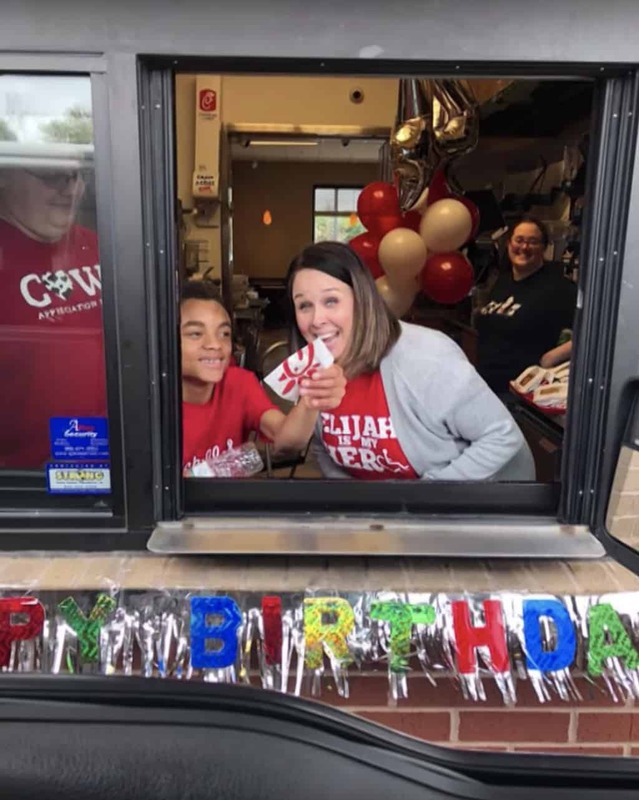 But one store in Alabama has broken the tradition as their Chick-fil-A opens on Sunday for a local boy with special needs. 14-year-old Elijah Sprague is autistic and has cerebral palsy, but he has one dream. To work in a drive-through. So, when his birthday came around, his parents wanted to find a way to make his dream come true. 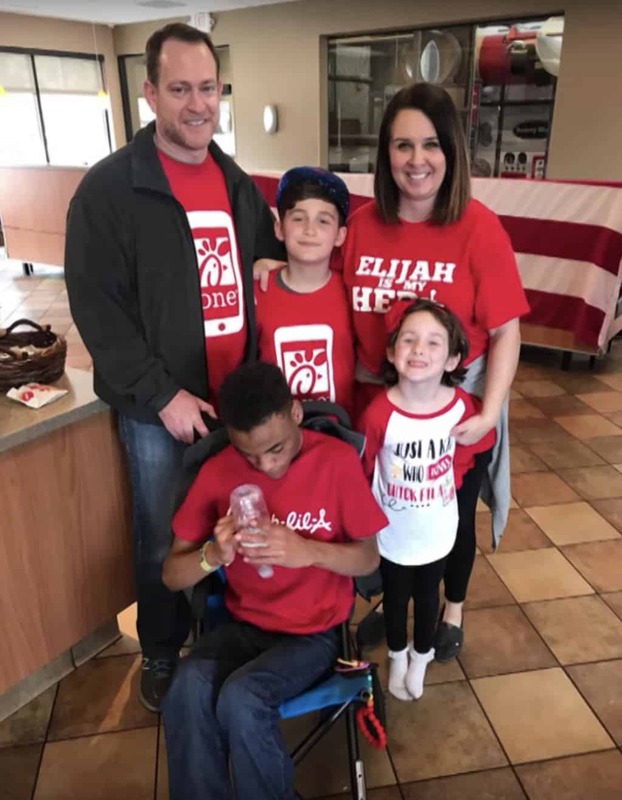 One of Elijah’s favorite restaurants is Chick-fil-A and they often visit his uncle there. Elijah’s uncle is a manager at their local Chick-fil-A, so they used this to their advantage. Elijah’s uncle wasn’t sure what the restaurant owner would say about opening on a Sunday. But when he mentioned that it was for Elijah, he said yes immediately. So why does Elijah love drive-through windows so much? “He just loves drive-through windows,” his mom, Rene Sprague says. Enough said. For his birthday a couple of years ago he also ran the drive-through window at a local pharmacy. The local Chick-fil-A opened on Sunday for Elijah’s birthday celebration. The staff made cookies for him to hand out and he sat at the drive-through window to fulfil his dream. Approximately 40 cars of people he knew came to the drive-through, and some even came around twice. He knew every single person who came through. He was chucking cookies out the window, he thought it was hilarious and he was talking to everybody. 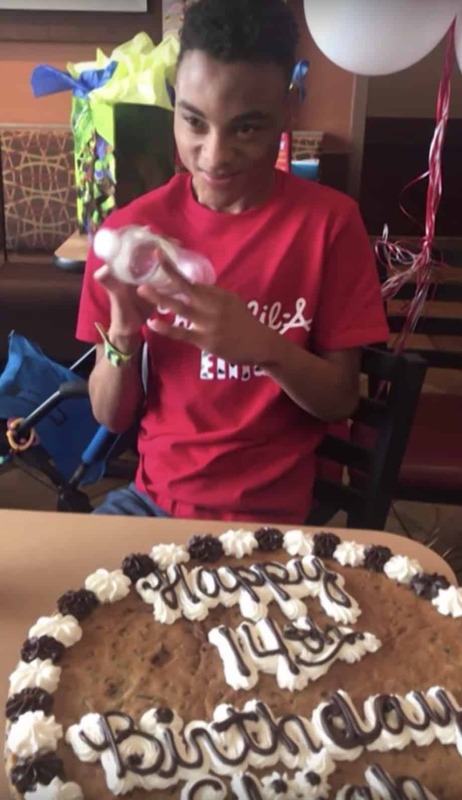 After his birthday shift was done, Elijah and his friends played inside the restaurant and ate dessert. Elijah was born 18 weeks premature, resulting in him having limited speech alongside his other conditions. His mom is a nurse who worked at the NICU where he was treated as a newborn baby. The Spragues adopted him when he was six-months-old but were warned he would only live about a year. 14 years on, he is proving the doctors wrong and brings joy to his family every day. This is super special to us. Elijah’s not going to graduate like our other kids. He’s not going to get married or have kids. So this is just a really cool experience to us for him to have this level of attention… it’s neat for people to recognize he’s a really cool kid. The Spragues are glad that his story has helped to inspire others with special needs. 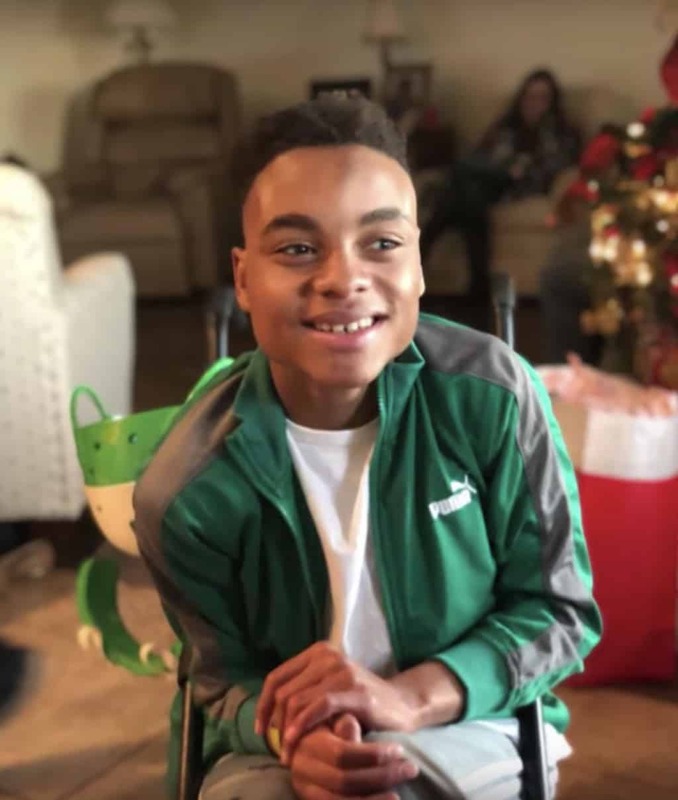 They say that Elijah’s abilities far outweigh his disabilities and he has so much to offer to the world. The community needs to realize this is a really special population of kids. They do have special needs, but they have so much to offer. Seeing the smile on Elijah’s face is enough to make it worth it to open Chick-fil-A every Sunday. 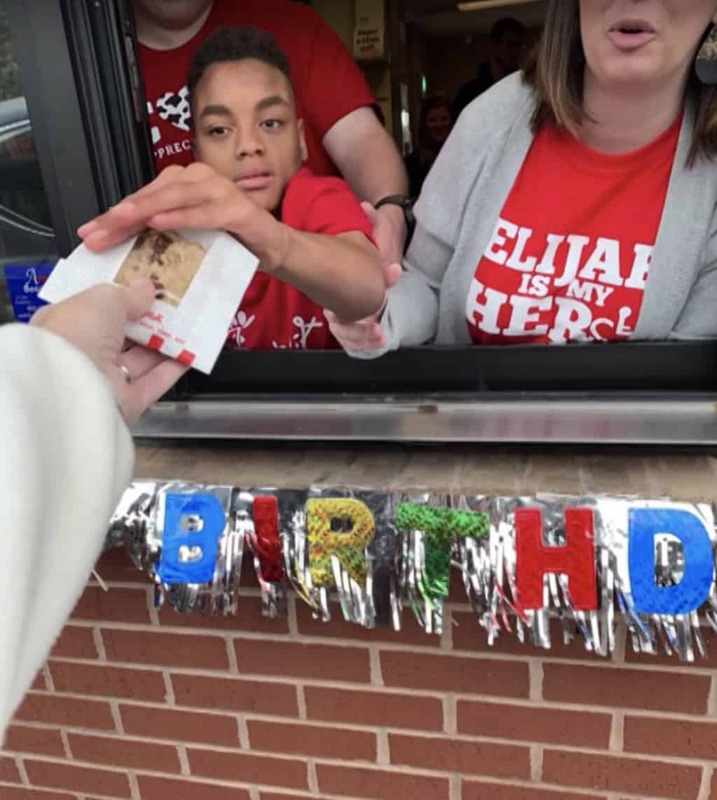 Watch the video below to see footage from when Chick-fil-A opens on Sunday for Elijah’s birthday.